School provides three Languages English, Hindi and Malayalam / Arabic / Sanskrit in Classes VI to X to develop Student’s multi-linguistic skills. Art & Craft, Music and Dance, Physical Education and Work Education are provided in the Co-Scholastic area in all classes. School has implemented Continuous and Comprehensive Evaluation (CCE) exactly as per the instruction of CBSE. 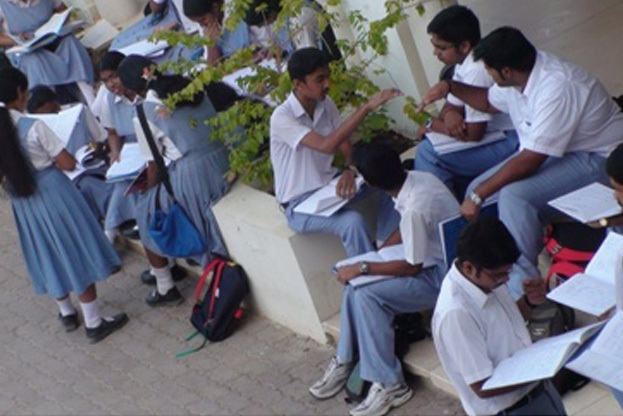 Schools offer two streams, Science and Commerce, in the Senior Secondary Classes. The benchmark of any quality school is the ability to develop all-round and globally accepted citizens. Indian School Darsait designs and creates all its activities based on this vital fact. Its resources are superbly geared to prepare the students for the 21st Century. Special emphasis is laid on the development of positive attitudes and healthy habits among the students. The overall development interest and talents are nurtured through an interdisciplinary approach.